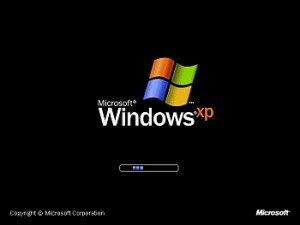 End of Support for Windows XP – Is It a Big Deal? Writing, technology, health & fitness, life stuff. These are the four things that churn about at lifestuff.org headquarters. If you haven’t visited our about page, check it out – it has enough information to choke a hippo. This is not a blog about technology, it’s a blog about “life skills for work and play”. The fact that Microsoft is ending support for Windows XP and Office 2003 is worth writing about, because it’s kind of a big deal that will affect your life stuff. Most of you probably have your computer set to automatically update, so you may not be aware of how many updates you are receiving: it’s a lot. Occasionally, you may receive an update that requires a reboot, or you may notice your computer taking a moment before shutting down to download and/or install some updates. This is all the stuff they are talking about. It’s going to stop, in April. How can they do this? Well, MS XP is ten years old, so it’s had a good run of it. It is time to retire Microsoft XP, and move on. Because these updates flowed smoothly and happened behind the scenes, and because you have received all the benefits of a fully support operating system and software for so long, you probably never needed support. BUT (big but here), once the updates stop flowing, you may (I’d almost say you WILL) need support, and it won’t be there. If you think you can just “call your guy” who helps you from time to time, Microsoft isn’t going to support HIM, and he will not be able to support you. And, I can guarantee that if you waltz into any tech retail establishment holding a machine with XP inside, expect a scene from the Twilight Saga to break out. They will pick up on the scent of your warm-blooded XP the moment you pass through the air curtain. Surrender Dorothy, and move up to Windows 7 or 8. How can I tell if I have XP? If this method doesn’t work, try going to your Control Panel, and choosing System. It should display your operating system there. What is the difference between Windows XP and Office 2003? Windows XP is the operating system that runs your machine. It’s the foundation that everything is based on. An operating system is like a your DNA, it determines how everything else will run. Office, is simply a program that is installed on your computer. A program that was compatible with Microsoft XP, back in the day. Now, both are retiring. Office 2003 is a suite of applications that can include WORD, EXCEL, POWERPOINT, OUTLOOK, ACCESS, and PUBLISHER. What happens to all my stuff if I get a new computer? The good news is, if you take action now, you are in complete control over your stuff. It works, all of your files are there, and healthy. Now is the time to move, not after the crash. If you buy a new PC, you can bring your old computer to the tech place of your choice and they can move your files to your new PC. This is VERY difficult to do if you wait until the machine won’t boot, or the files are corrupted or infected. This is a very good question, and now is the perfect time to ask. Again, if you make the move to a new PC or Mac while your old PC is still functioning, you will always win. My rule of thumb with Mac is, ask around and see if the majority of your customers, friends, family, peers are using a Mac. If they are, you can probably make the switch. If you would be the odd man out with a Mac, you may want to stick with a Windows machine, and perhaps get a used or inexpensive Mac and test it out. If you use a lot of devices that attach or connect to your computer: scanners, printers, storage, phones, and the like, make a list of their makes and models and be sure they will work with a Mac. Can I upgrade the machine I have? No. Ok, well, you can, but unless you bought a new machine with an old operating system, it’s probably not worth trying to upgrade. Safety Tip: Before you make any drastic moves, click on Start, All Programs and snap a couple photos or screenshots of the list of programs installed on your PC. Print it out for safe keeping. Buying New: Buying a new/used PC doesn’t have to be expensive. There are many reputable online retailers that carry machines for around $200.